Practical children's desk chair on wheels. 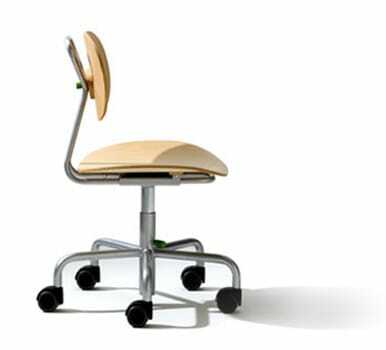 Turtle is a practical, ergonomic and height-adjustable chair on wheels for the children's desk. Available in natural beech or painted white. A removable, washable cover is available in addition. Adjustable back rest in depth and height (from 32 to 46cm) as well as height adjustable seat, for use up to a body height from 1.10m up to 1.70m. Please remember that table and chair are proportioned especially for children. Do you have a question about "Turtle"? How can we contact you?